On 19.09.2018, Collegiate Education conducted Essay Writing Competition in Tamil on the topic "Dhesiya Ottrumai mattrum Madha Nallinakkam". 15 students participated, in which M.Poojasri of II B.C.A was selected. 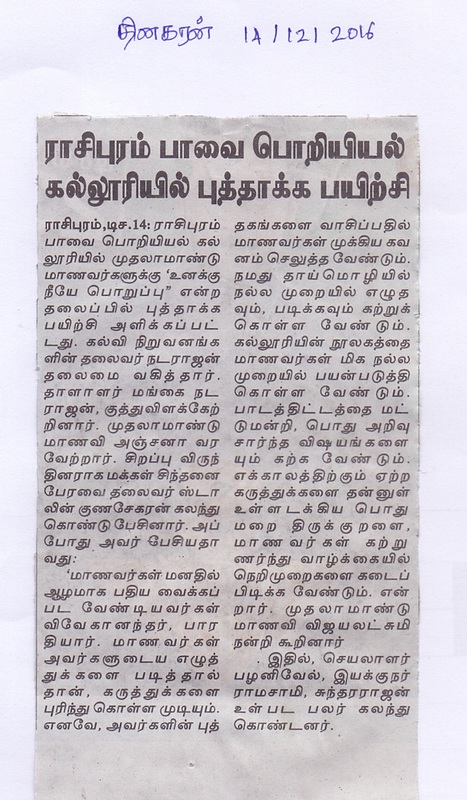 Her essay was sent to NKR College, Namakkal for final selection.